Music Together Vivo director Cheryl Sabo recently sent out a pre-class e-mail to all families enrolled in classes for our Spring 2018 collection - Triangle. 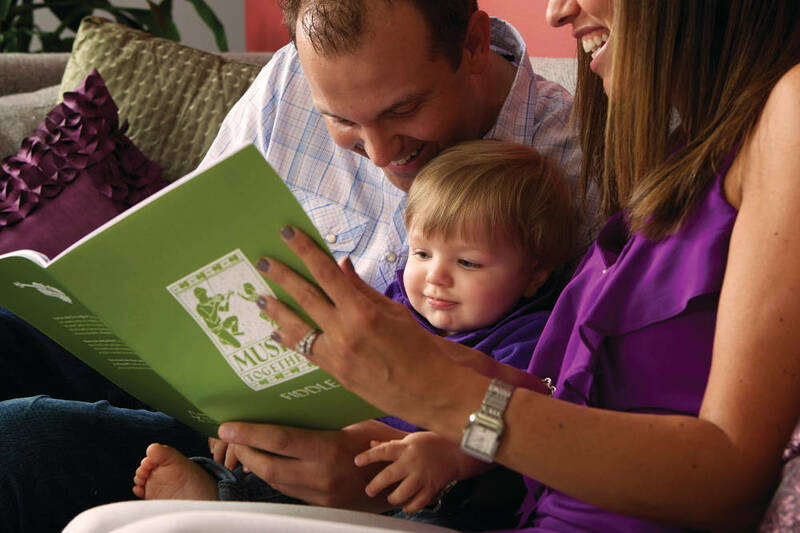 In it, she discusses the "framework" of a Music Together® class - the song slots that provide an overall structure to each class - the Hello and Goodbye songs, the playalong, and lullaby. There's another "framework" song slot in class for me, and that is the lap song/dyad. This song typically happens towards the beginning of class, and its primary focus is the bond between caregiver and child. Lap songs tend to have a lot of bouncing/tickling/hugging, while dyads - where pairs are created either from caregiver-to-child or caregiver-to-caregiver - tend to have movements like joining hands to rock/row or play pattycake. There are so many fun songs throughout the Music Together collections that serve the lap song/dyad purpose well - "Trot, Old Joe" from our winter session's Bells collection, I know, is a favorite of many! As a newer teacher, I must confess that I found myself getting into a bit of a personal rut with lap songs. I'm entering my 9th semester of teaching with Triangle (the last collection that I've experienced as a parent, but haven't previously taught! ), and I found myself wondering if I was doing this slot in the lesson plan justice. Don't get me wrong, I could see my families were having fun with them each week - their laughs are infectious! My doubt isn't a reflection on them at all, but a bit of my own teaching insecurity. So I decided to challenge myself! Before each new semester, Music Together Worldwide hosts a Songs and Skills Training for teachers who will be teaching the upcoming collection. It's a day long workshop, and the afternoon is dedicated to running through the entire upcoming collection with different Music Together teachers from the area leading different songs. You have to meet certain requirements to lead a song, and I first started leading songs myself last Spring. When I looked at what songs were available to lead for Triangle collection, I was immediately drawn to "Allee Galloo." I remembered learning a line dance version of this when I took my initial Music Together Teacher Training in Hopewell, NJ back in 2015, and we had so much fun with it! When you lead at one of these workshops you need to present it multiple ways, so leading it as a lap song (and also as a line dance, among other ways) became my challenge to get me back into my lap song groove. So, Music Together Vivo community, as we start on a new semester, I pass on a challenge to you too: Embrace the repetition! It can seem boring to us as adults, but children thrive on repetition and structure! Of course it's OK to take a break after the thousandth time of bouncing along to "Trot, Old Joe" - but don't forget to come back to it again. The bond created by simple moments like bouncing and singing together is totally worth the sore knees!